One cannot grow up in Corning, N.Y. and not have at least a small fascination with the many possibilities of glass as an artistic medium. Combine that fascination with a mother and grandmother who embroidered, tatted, quilted, smocked, and needlepointed. Needless to say, I was strongly encouraged to sew! My beadwork evolved from that humble beginning as embellishment, embroidery, and jewelry. I am essentially self-taught. This has been a 40-year evolution of what I consider a unique style. 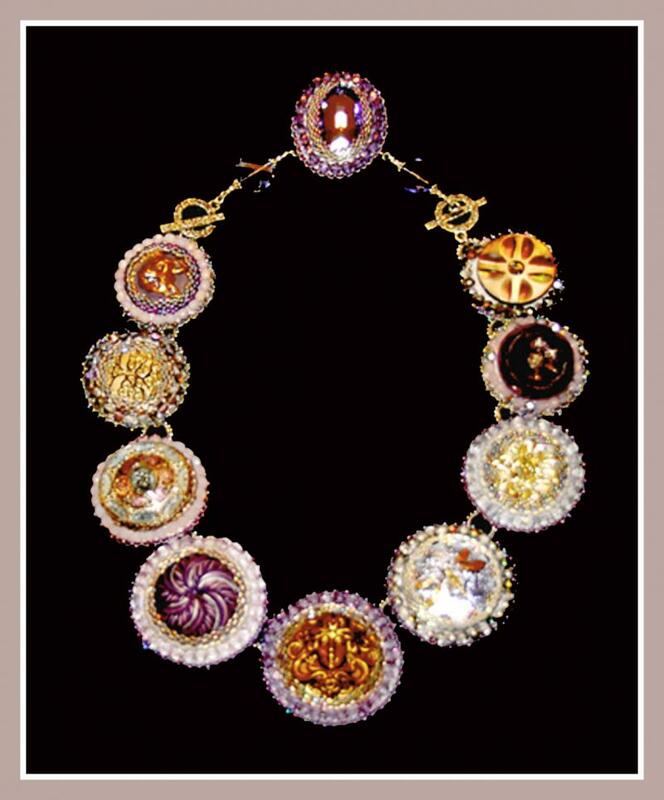 Textural beadwork in jewelry has dovetailed into three-dimensional sculpture, both large and small. My miniature work for dollhouses, baskets, vessels, and wearables have taken the simple glass bead on a journey through mixed media, loom work, and a variety of free hand stitching techniques. I have proudly received my Roycroft Renaissance Master in 2009 and again in 2014 for my artistry in beads. Every day I look forward to some time in my studio………bead therapy! aMEUSEments is a venue for a working artist. It is not a retail outlet. I also have work on display (and for sale) at The Schoolhouse Gallery on 1054 Olean Rd. East Aurora, NY.﻿ and The Copper Shop in East Aurora, NY.